Blocked drains in London whether it is in your home or business can be a nightmare and is a problem that will need to be fixed straight away. 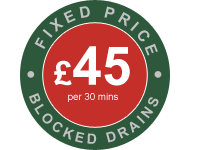 Some of the obvious signs of a blocked drain in London are; bad odours, leaks & floods and even loss of power all indicate that there is more than likely a drain blockage somewhere. For business’ this can lead to serious problems and slow down the productivity or even worse stop the business completely until the blocked drain is fixed. Drains in London are can be especially a problem as they are very old and this can lead to collapsed drains that require rebuilding or replacing. For households in London blocked drains can lead to health hazards and as a place that you live and relax, you really don’t want to come home to bad odours, flooding or power cuts. In many circumstances you should be able to repair the blocked drain or sewer yourself through the use of some bleach, a plunger and drain cleaning chemicals available from your local DIY store. If the blocked drain is a more serious problem and you are unable to reach the blockage then you will require a professional drain company like AlfaClear Drains with specialist drain clearing equipment for London drains. We have a team of engineers with the skills, latest equipment and expertise to unblock and repair your drains back to fully functional condition. AlfaClear Drains also offer a maintenance service for business and residential properties – We believe that prevention and being proactive is better than being reactive. This especially for busy London businesses could save them lots of hassle and in-turn money in the long run. Going even further, we have put a few handy tips and advice together that you can carry out regularly to help prevent any blocked drains problems in London for both business’ and residential properties. Clear and remove hairs from drain plugholes regularly to prevent blockages further down the waste pipes. Keep small bathroom toiletries away from the toilet to reduce the risk of any objects being flushed and blocking the drains. Clean your bathtub, basins, kitchen sinks and toilets with disinfectant to remove build-up of grease and grime that can lead to blocked drains. Do not flush nappies down the toilet, even flushable wipes we recommend against as these tend to not break up in the old London drains and lead to blockages further down the line. Scrape of plates before washing up – do not throw food waste and wedge it down the plughole, this will lead to a blocked drain. Fats are a common problem of blocked drains in London. Once fat goes cold it goes hard and is very difficult to remove. Maintain downpipes and roof gutters. Fallen leaves and rubbish from trees in London can also be a cause of a blocked drain. Try to check your drain by lifting the cover from time to time to check that it has not been blocked by outside debris. 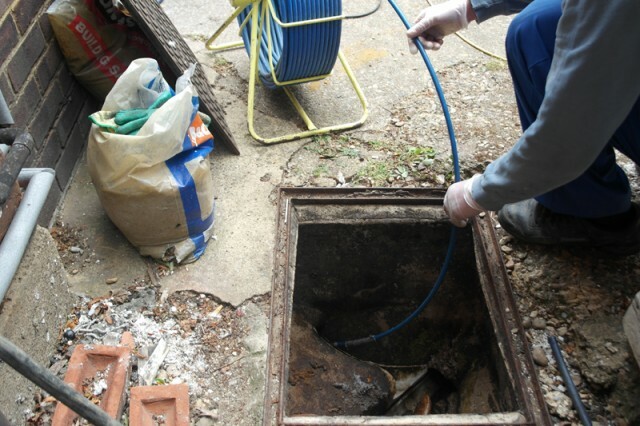 If you have a really serious problem and cannot find the route cause then you could have a CCTV Survey carried out on your drain to locate the blockage and decide on the best solution. AlfaClear Drains use the latest CCTV Drain equipment and can provide you with a report that can be used as evidence should you require it to claim on your insurance.